ChurchPost is a software-as-service platform connecting staff, volunteers and other ministry leaders to connect with members and visitors through an intuitive web-based email center that allows both advanced users and total beginners to create stunning electronic newsletters, postcards and quick reminders. Send messages immediately, schedule future mailings, track everything that happens to each message you send, automate engagement, integrate with social networks, include attachments, customize website signup forms and more! Advanced permission settings allow unique control over multiple users. 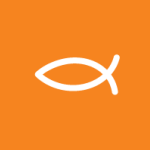 ChurchReply is an “add on” module that enables a designated administrator at your church or religious organization to create and customize distribution email lists (like youth@churchreply.com) specifically designed for group discussion and conversation threads. Best of all, ChurchReply is completely integrated with ChurchPost.com! ChurchReply is a fully moderated solution, and can also be designed to work with alias addresses – so personalized addresses like youth@firstchurch.org automatically redirect to your dedicated @churchreply.com distribution list. Other features include: “reply to all” or “reply to sender”, online message thread retrieval (public or private), list moderation, allow/deny lists, whitelisted mail servers and 24/7 SpamAssassin monitoring managed by ChurchPost. ChurchExtend is a module that allows ChurchPost users to create powerful online communities around specific content (public or private). ChurchExtend is deployed as a unique domain (mychurch.churchextend.com) and can power an unlimited number of discussions, users and general categories. Our service is powered by Vanilla and is built for flexibility and integration – embedding your forum into a website is a single line of code! ChurchExtend is mobile-ready, so your users can access and interact with your community from any device at any time. ChurchExtend is a hosted and fully managed solution – no need to manage a complex installation, learn how to host, scale, patch, upgrade, or any other mess involved with hosting a new platform. Instead you get to simply focus at becoming great at building and growing conversation communities around your content.